These drop links made from metal should be used for a front lowering starting at 40mm. They prevent the drive shaft from sliding at the stabilizer. The drop links have oil resistant damper rubbers and a self-locking screw connection. 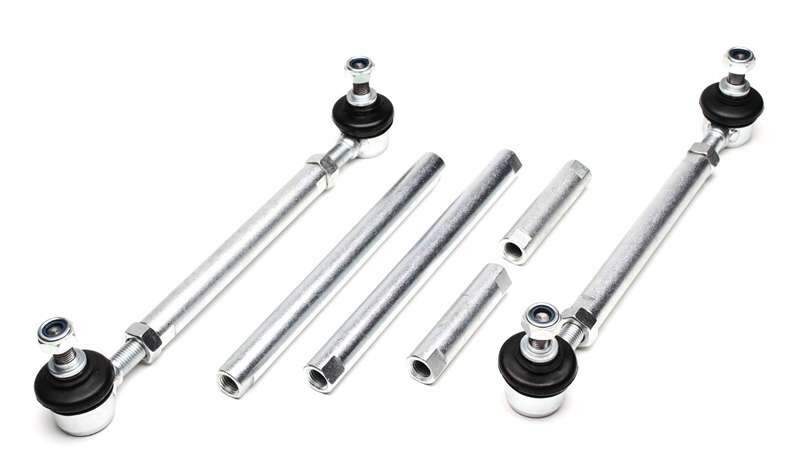 Helps prevent binding & rubbing on the sway bar and axle. Allow for fine tuning of the swag bar feel during cornering. All bolts and washer included for simple bolt on installation. Please tell me the diameter of the bolt. the bolt is M10 or with adapters M12. Adapters are include!